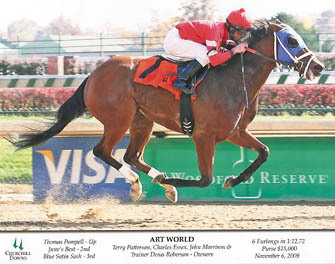 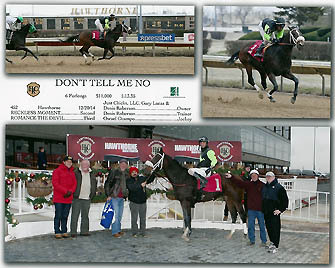 CONGRATULATIONS TO owner "CIRCLE C" STABLES on a second with "Northlander" at 13-1 odds, and a third with "Off On a Tangent" at 23-1, on March 12, 2005, and a second with "Little Yeoman" at 6-1 on March 13, 2005, at Turfway Park. 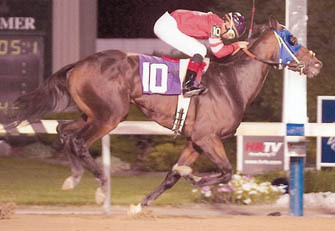 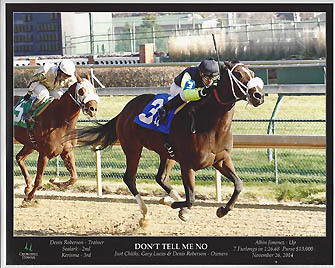 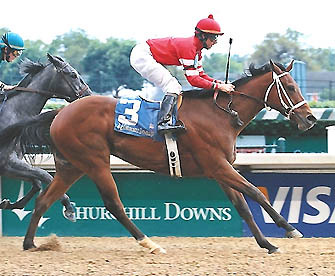 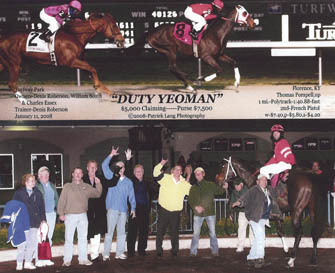 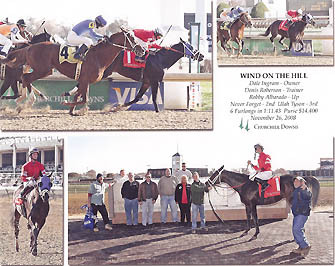 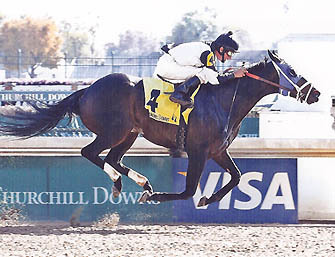 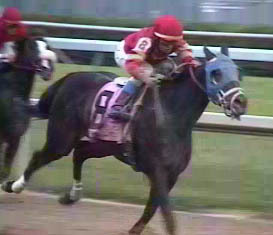 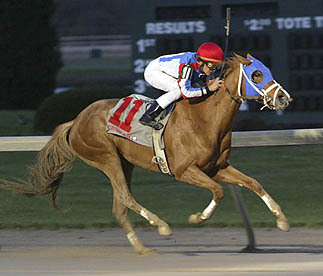 CONGRATULATIONS TO owner "CIRCLE C" STABLES on a lucrative win at Churchill Downs, November 17, 2004. 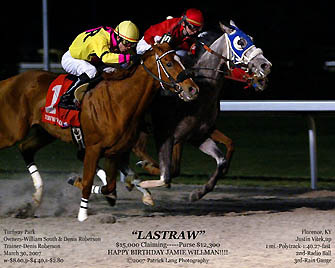 Circle C's 3 year old filly "Western Ocala" won easily by 5 lengths, earning $10,230 in purse money and paying $24.20 to win! 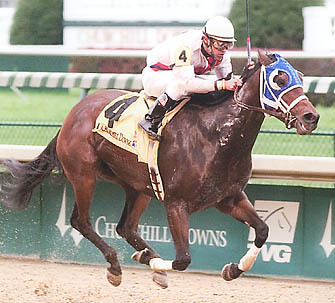 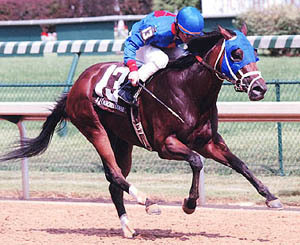 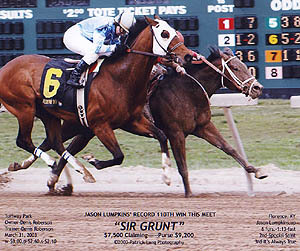 CONGRATULATIONS TO CALLINTHETROOPS and owners/breeders Richard Margherio, Nancy Margherio, Joe Margherio & Diane Margherio on a huge win at Churchill Downs on 5/29/04, by 6 lengths under jockey Eddie Castro. 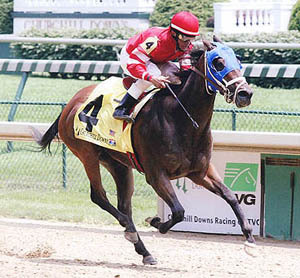 $17.00 to win! 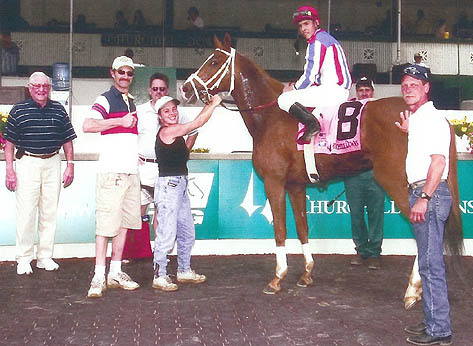 from the Daily Racing Form 5/31/04 - Eddie Castro, the 2003 Eclipse Award winner for top apprentice and the current leading rider at Calder, won in his first trip to Churchill when he guided Callinthetroops to a $17 upset in the first race Saturday. 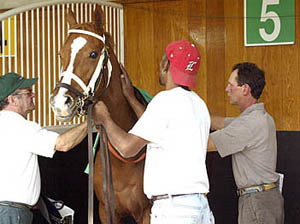 Castro, who was in from his south Florida base to ride Stay Forever in the Mint Julep, got the mount almost by accident, according to Denis Roberson, trainer of Callinthetroops. 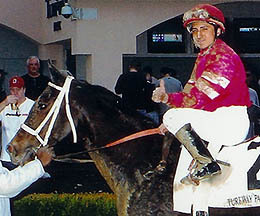 "I was looking for somebody who could do the 110 pounds," said Roberson, adding the he tried to get Rafael Bejarano or Willie Martinez but both already had mounts in the race. 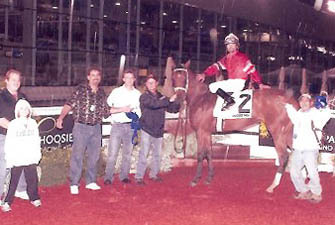 But Julio Espinoza, Martinez's agent, was handling business for Castro, and he suggested that Roberson give Castro a try. 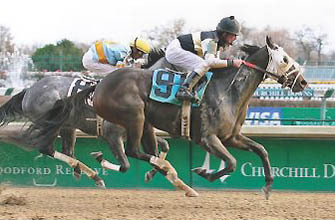 Roberson said owner Joe Margherio and his partners "loved the idea of having a leading rider from anywhere. 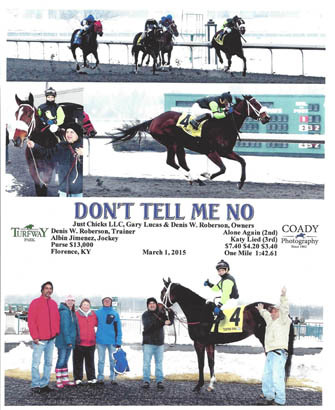 I couldn't be happier with how it turned out." 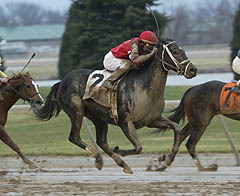 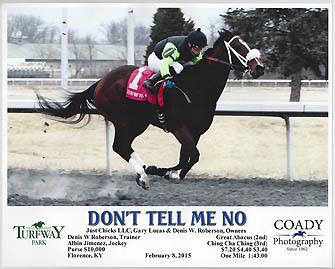 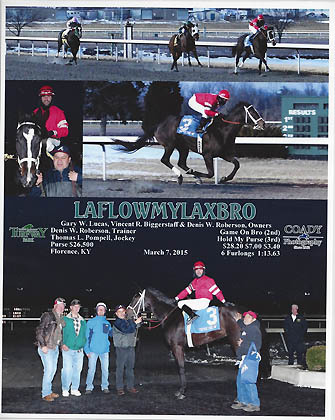 CONGRATULATIONS TO CALLINTHETROOPS and owners/breeders Richard Margherio, Nancy Margherio, Joe Margherio & Diane Margherio on a comfortable win at Turfway Park 4/1/04, by 4 lengths under jockey Rafael Bejarano. 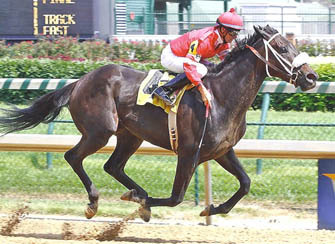 Callinthetroops is a 3 year old filly by Announce out of Army Brat by Thirty Six Red. 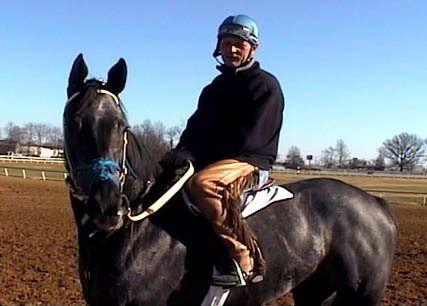 2 year old filly owned by Ricki and Ron Rashinski, started under saddle by Denis Roberson, training with Denis at Trackside in Louisville. 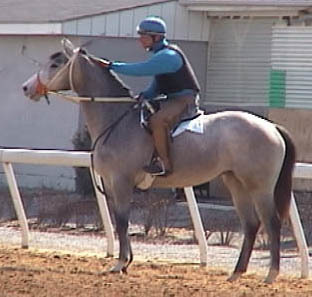 "Baltic Maria", filly by Maria's Mon, owned by Teresa Horky and Keith Shelansky, January 2004. 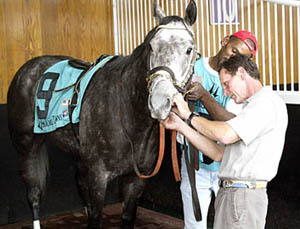 Denis saddled two horses at Churchill Downs on October 31st, 2003, including Frank Calabrese's Leapshin in the Halloween "Gray Ghost", and Callinthetroops, owned by Joe Margherio and partners.